I have needed some inspiration. I have been through some dry spells when it comes to my writing before but this last spell has been a rough one. I usually could come up with something to write about even if it was basically a repeat of something I had written about before. Not this time… I could not bring myself to even type a word. No words… no ideas… nothing to say. I wanted to make it last… I wanted to reach 500,000 visitors. I am roughly 14,000 visitors short as of this writing. That sounds so self-centered… so… self-serving. But if you honestly know me, you know that I do not write to get recognition. I have turned down opportunities to try to promote my blog on different media sites. That was not why I started writing in the first place. I started writing again to fill a place in my life that was empty. A place that was emptied by the choices I made in life and I needed to fill that place with inspiration and thought. With life running so fast, there’ s little time and energy left to try a muster up some inspiration to write. To be honest with the truth, I long to have another opportunity to teach from the Bible again. It has been over twenty years since I have had the honor of sharing from God’s Word in a classroom setting. There was always a small part me that believed that I would get the chance to once again be a part of a ministry besides sitting in the pew. It is evident to me as I think on these things that God has another plan. As much as I try to believe, I do not believe that it will ever happen. Through the small things and the biggest things, life has certainly taught me this lesson over and over. Things are harder for those who don’t believe. And they’re much easier for those who do. Lord knows that I’ve created a thousand life obstacles by crowding out my faith, or by blatantly ignoring what it was whispering to my heart. 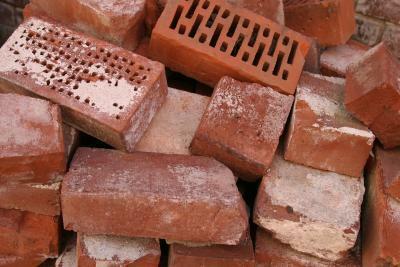 It has made life harder because I had to tear down a thousand walls brick by brick by finally believing they had to fall. This is one wall that I have not been able to tear down. That being said, I must say that I have witnessed others who have endured a divorce and/or failure in marriage go on and teach and “do things” in the church as if it never happened. That opportunity has never been offered to me. I am not bitter about the price I have paid for my failure or the opportunities that others have been given. It just saps my ability to be inspired at times. So it’s becoming more important to me that I not waste too much time dwelling on what will not happen and focus on what can be done because my time is running short. Now before that gets misconstrued, I am not dying, at least I don’t have any plans on dying anytime soon. But blogs and websites like mine are dying daily. I cannot help but think that this website… this blog… my stories… my words that I write will be the only voice that I will ever have. In no time at all it will be silenced. So what can keep me inspired until that day comes? I thought it would be nice to share one thing that has always brought inspiration to me. As many of you know, I love music. All types and all styles. It brings me inspiration and I never write unless I have music blaring through my headphones. One of my favorites is one that I am sure not many people have ever heard of. I am blown away by the composer, Ólafur Arnalds. I discovered him on Spotify. His album called, “Living Room Songs” is a masterpiece. Each note has purpose. The melodies are unique. Emotion is ever-present. It takes me on a journey every time I listen. Sometimes it breaks my heart. Sometimes it heals it. I always feel something. I’m always inspired. The story behind the album is that he committed to writing one new song each day for a week. At the end of each day, he gathered a small string section, and there in his living room, they recorded what he’d written that day on a live microphone. No editing and no overdubs. It’s beautiful in its imperfection. Each time the piano bench cracks, the pedal squeaks or a violin string falters in pitch for a moment, I smile to myself. I love that they moved ahead, not feeling the need to repair or hide the ‘mistake’. And somehow, the song actually becomes more beautiful for it. At the end of the week, it was done, finished – created and shared with the world… all it’s flaws exposed. I’m inspired by what he was able to accomplish in a day – in a week. And I can’t help but consider what I could do if I lived with that kind of intention and fearlessness. If I’m honest, it’s scary for me to commit to something before I’ve got it figured out and know what the outcome will be. Listening to this music makes me want to fly without a net. And it makes me think I can. It makes me braver. Not because it’s perfect and grand – but because it’s imperfect. The flaws are evident… but they still are powerfully touching. We spend so much of our lives trying to cover up our flaws and shortcomings, but what if we could just embrace them and move on? What if we didn’t let them stop us? What if they simply became part of the story we’re sharing? What if I didn’t have to have it all figured out before I was willing to begin? What if I were willing to fly without a net? What if I lived my life with more intent and focus? What if I made peace with my imperfections and shortcomings? What if I even embraced them and made them a part of my story? What could I share with the world? 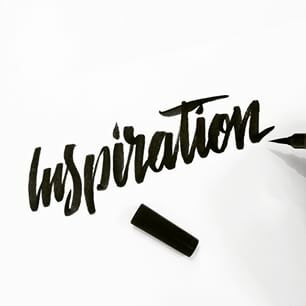 What might it inspire in others? 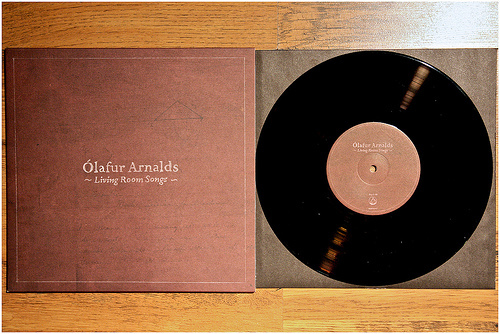 Regardless of the type of music you like, I think almost everyone reading this will fall in love with “Living Room Songs” by Ólafur Arnalds. It’s perfect background music, especially on rainy days and Saturday mornings. It has become one of my favorites – because it’s more than a piece of music. It’s an exercise in fearlessness and exposure to what is real, flaws and all. NOTE: I have attached a video of the process and recording of “Living Room Songs”. Enjoy!!! I would hope that you wouldn’t quite writing your blog. It has been meaningful to me and my son. I am a co-leader in a small group study of “Experiencing God” by Henry Blackaby. It is a classic book at this point in time. Let me share a story from the session last night. When we moved to this area in 1999, for a fresh start in our family, I had attended a denomination that taught you could lose your salvation if you weren’t good enough and did wrong things since I was born, and which my wife of 41 years had been attending since high school. It taught a works-based salvation. We opened a business in a shared office space with a young lady who was a new and excited Christian. For a few months I traveled back and forth between our new town and our old town while I was closing a business there. We were traveling back to our old town to attend church on Sundays, but my wife and daughter could not go to church on Wednesdays because of when our new business closed during the week and the travel time back. This new Christian kept inviting my wife and 5th grade daughter to Wednesday night services. My wife asked me if they could attend. I said yes, but we would never join that church, as they were Baptist and believe in eternal security. Heresy! Well you know what they say about “Never say never.” Within a short period of time and following some conversations with the pastor and study of scripture I concluded they were right about this eternal security thing, it was by His grace and His righteousness that He imparts to us. Not our righteousness, that came from us being good enough. Fast forward a little over a year. We had a 21 year old son killed in the car accident due to his driving drunk. That was a mortal sin in our previous Christian experience. But with my new, and correct understanding, of grace and salvation, I could rest assured that our son went to heaven based on a relationship that I knew he had with God. Had I come to this new understanding of grace after his death, in the back of my mind I would have always been wondering, “Do I believe this to make myself fill better about where my son is now?” My wife and I had taken the Experiencing God class two times back then, but had never finished the class because the course stopped for one reason or other during the time we were taking it. Two to three months ago, the husband of that “fired up new Christian” that invited us to church was talking in Sunday School about how that he had taken that Experiencing God course about a year before we moved here. He also was a new Christian at that time and the course had really impacted his life, as it had me and my wife. He also said what he thought was a casual comment. He said, “If I ever had the opportunity to teach that course, I think I would do it.” After class I asked it he really meant that and he said he did. Little did he know at the time that I was on a committee that was putting together courses for the next semester of what we call Spiritual Growth University held on Sunday nights at our church. As they say, the rest is history, He is the teacher and I co-teach when his work takes him away on Sunday nights. I learned last night in class that the way he and his wife started attending this church is because his wife was selling the widow of a former pastor of this church some Avon. She kept inviting them to church. They had decided not to attend a Baptist church because they had 2 or 3 poor experiences with Baptist churches prior to moving here after he got out of the Army. Plus she had grown up Catholic, and Baptist was just too radical of a change. There was another guy in the glass that gave his story of wandering around for a few years before he got back in church. I reminded him of a time that he and his were in the hospital with there new born child who was seriously ill. They were not attending church at the time. My wife and I went to visit them because his wife’s parents were in my Sunday School class. His wife later talked about the impact of that visit on their lives and their eventual fresh encounter with Christ and return to church. My wife says I am a little verbose. She is kind when she says “little”. If you have figured out where I am going with this, you are good. Although it would be great to say I knew you when you were a struggling blogger and that you once personally wrote me about my son, and that you now have 1/2 million followers, I want to remind you that your success is not measured in numbers. Henry Blackaby would tell us it is not if we discover the will of God for our life. He says we are to see where God is working and join him there. I think too often we make it about ourselves and not about Him. God used a little old preacher’s widow to invite a new Christian to her church, She would invite a “family who would never join a Baptist church” that would understand the grace of God before a tragedy struck their family, who would visit a young couple with a sick child in the Hospital who would eventually come back home to God and His church, who would both become teachers of children and young adults and mentor them. The best part has yet to be written. I only know a small part of the story.